Stop by for great deals and free Halloween comics! 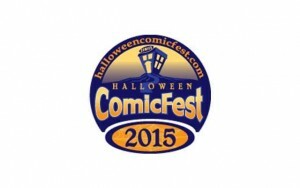 Celebrate Halloween Comicfest with New Dimension Comics and Action Lab’s Vito Delsante! Vito will be signing copies of Action Lab Entertainment’s ACTIONVERSE at the Mills Location and the best part? *Vito will be on site at 12 noon! Also NDC will be doing a costume contest on Halloween. From Open till 6pm customers can come in in costume (family appropriate) and we will put a pic of them on NDC location that you came into’s Facebook page. For every “LIKE” they get 1 vote for every “SHARE” they get 2 votes. The contest will conclude at noon Sunday Nov 1st. The winner per store will get a $50 gift card.